Mr. Vice President, Mrs. Gore, President and Mrs. Herzog, distinguished leaders of nations from around the world who have come here to be with us today, the leaders of our Congress and the citizens of America, and especially to Mr. Meyerhoff and all of those who worked so hard to make this day possible, and even more to those who have spoken already on this program whose lives and words bear eloquent witness to why we have come here today. It is my purpose on behalf of the United States to commemorate this magnificent museum, meeting as we do among memorials within the site of the memorial to Thomas Jefferson, the author of our freedom. Near where Abraham Lincoln is seated, who gave his life so that our nation might extend its mandate of freedom to all who live within our borders. We gather near the place where the legendary and recently departed Marian Anderson sang songs of freedom, and where Martin Luther King summoned us all to dream and work together. Here on the town square of our national life, on this 50th anniversary of the Warsaw uprising, at Eisenhower Plaza on Raoul Wallenberg Place, we dedicated the United States Holocaust Museum, and so bind one of the darkest lessons in history to the hopeful soul of America. As we have seen already today, this museum is not for the dead alone, nor even for the survivors who have been so beautifully represented; it is perhaps most of all for those of us who were not there at all. To learn the lessons, to deepen our memories and our humanity, and to transmit these lessons from generation to generation. The Holocaust, to be sure, transformed the entire 20th century, sweeping aside the enlightenment hope that evil somehow could be permanently vanished from the face of the earth; demonstrating here is no war to end all war; that the struggle against the basest tendencies of our nature must continue forever and ever. The Holocaust began when the most civilized country of its day unleashed unprecedented acts of cruelty and hatred abetted by perversions of science, philosophy, and law. A culture which produced Goethe, Schiller, and Beethoven, then brought forth Hitler and Himmler. The merciless hordes who, themselves, were educated as others who were educated stood by and did nothing. Millions died for who they were, how they worshiped, what they believed, and who they loved. But one people--the Jews--were immutably marked for total destruction. They who were among their nation’s most patriotic citizens, whose extinction served no military purpose nor offered any political gain, they who threatened no one were slaughtered by an efficient, unrelenting bureaucracy, dedicated solely to a radical evil with a curiously antiseptic title: The Final Solution. The Holocaust reminds us forever that knowledge divorced from values can only serve to deepen the human nightmare; that a head without a heart is not humanity. For those of us here today representing the nations of the West, we must live forever with this knowledge, even as our fragmentary awareness of crimes grew into indisputable facts, far too little was done. Before the war even started, doors to liberty were shut. And even after the United States and the Allies attacked Germany, rail lines to the camps within miles of military significant target were left undisturbed. Still there were, as has been noted, many deeds of singular courage and resistance. 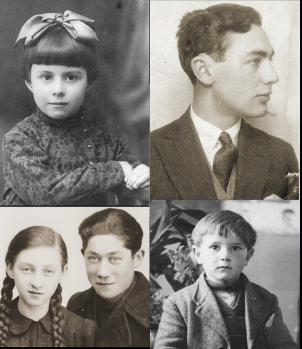 The Danes and the Bulgarians, men like Emmanuel Ringelblum, who died after preserving in metal milk cans the history of the Warsaw ghetto. Janusz Korczak, who stayed with children until last breaths at Treblinka. And Raoul Wallenberg, who perhaps rescued as many as 100,000 Hungarian Jews. And those known and those never to be known, who manned the thin line of righteousness, who risked and lost their lives to save others, accruing no advantage to themselves, but nobly serving the larger cause of humanity. As the war ended, these rescuers were joined by our military forces who, alongside the allied armies, played the decisive role in bringing the Holocaust to an end. Overcoming the shock of discovery, they walked survivors from those dark, dark places into the sweet sunlight of redemption, soldiers and survivors being forever joined in history and humanity. This place is their place, too. For them as for us, to memorialize the past and steel ourselves for the challenges of tomorrow. We must all now frankly admit that there will come a time in the not-too-distant future when the Holocaust will pass from living reality and shared experience to memory and to history. 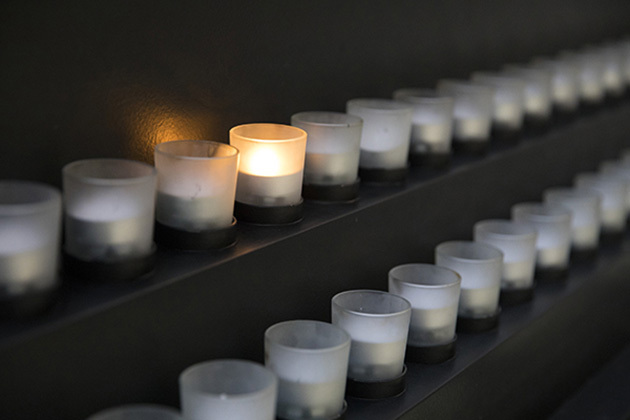 To preserve this shared history of anguish, to keep it vivid and real so that evil can be combatted and contained, we are here to consecrate this memorial and contemplate its meaning for us; for more than any other event, the Holocaust gave rise to the universal declaration of human rights, the charter of our common humanity. And it contributed, indeed, made certain the long overdue creation of the nation of Israel. Now, with the demise of communism and the rise of democracy out of the ashes of former communist states, with the end of the Cold War we must not only rejoice in so much that is good in the world, but recognize that not all in this new world is good. We learn again and again that the world has yet to run its course of animosity and violence. Ethnic cleansing in the former Yugoslavia is but the most brutal and blatant and ever-present manifestation of what we see also with the oppression of the Kurds in Iraq, the abusive treatment of the Baha’i in Iran, the endless race-based violence in South Africa. And in many other places we are reminded again and again how fragile are the safeguards of civilization. So do the depraved and insensate bands now loose in the modern world. Look at the liars and the propagandists among us, the skinheads and the Liberty Lobby here at home; the Afrikaaners resistance movement in South Africa; the Radical Party of Serbia, the Russian blackshirts. With them we must all compete for the interpretation and the preservation of history of what we know and how we should behave. The evil represented in this museum is incontestable. But as we are its witness, so must we remain its adversary in the world in which we live. So we must stop the fabricators of history and the bullies as well. Left unchallenged, they would still prey upon the powerless; and we must not permit that to happen again. To build bulwarks against this kind of evil, we know there is but one path to take. It is the direction opposite that which produced the Holocaust; it is that which recognizes that among all our differences, we still cannot ever separate ourselves one from another. We must find in our diversity our common humanity. We must reaffirm that common humanity, even in the darkest and deepest of our own disagreements. Sure, there is new hope in this world. The emergence of new, vibrant democratic states, many of whose leaders are here today, offers a shield against the inhumanity we remember. And it is particularly appropriate that this museum is here in this magnificent city, an enduring tribute to democracy. It is a constant reminder of our duty to build and nurture the institutions of public tranquility and humanity. It occurs to me that some may be reluctant to come inside these doors because the photographs and remembrance of the past impart more pain than they can bear. I understand that. I walked through the museum on Monday night and spent more than two hours. But I think that our obligations to history and posterity alike should beckon us all inside these doors. It is a journey that I hope every American who comes to Washington will take, a journey I hope all the visitors to this city from abroad will make. I believe that this museum will touch the life of everyone who enters and leaves everyone forever changed; a place of deep sadness and a sanctuary of bright hope; an ally of education against ignorance, of humility, against arrogance, an investment in a secure future against whatever insanity lurks ahead. If this museum can mobilize morality, then those who have perished will thereby gain a measure of immortality. I know this is a difficult day for those we call ‘survivors.’ Those of us born after the war cannot yet fully comprehend their sorrow or pain. But if our expressions are inadequate to this moment, at least may I share these words inscribed in the Book of Wisdom: ‘the souls of the righteous are in the hands of God, and no torment shall touch them. In the eyes of fools they seem to die. They’re passing away was thought to be an affliction. And their going forth from us, utter destruction. But they are in peace. On this day of triumphant reunion and celebration, I hope those who have survived have found their peace. Our task, with God’s blessing upon our souls and the memories of the fallen in our hearts and minds, is to the ceaseless struggle to preserve human rights and dignity. We are now strengthened and will be forever strengthened by remembrance. I pray that we shall prevail.